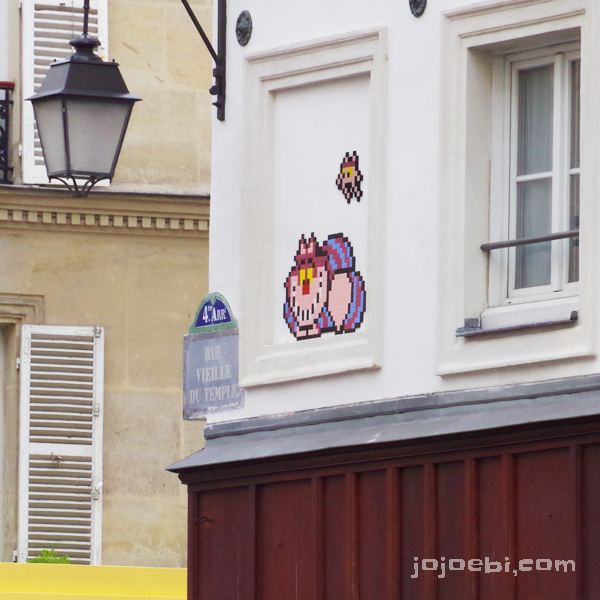 When we were in Paris we spotted a lot of these cool pixel grafiti art. 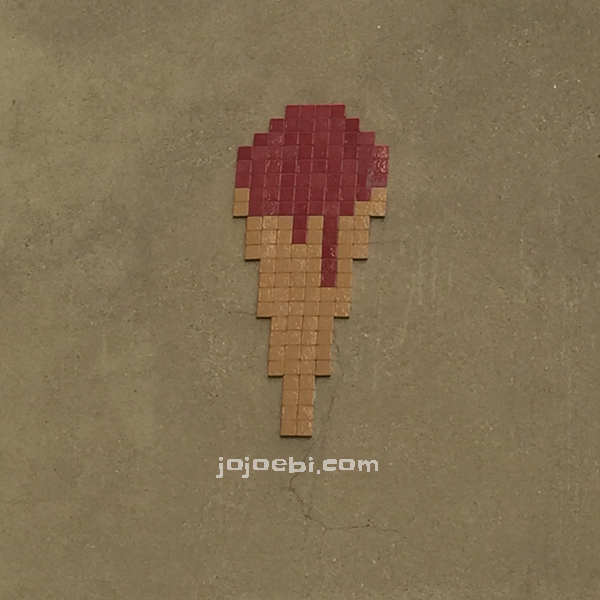 They are mini mosaics and found on the side of buildings. 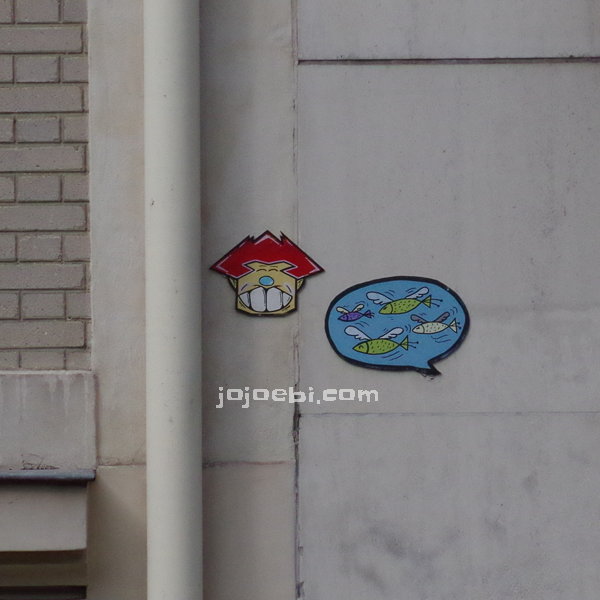 Ebi-kun and I had fun looking out for them. 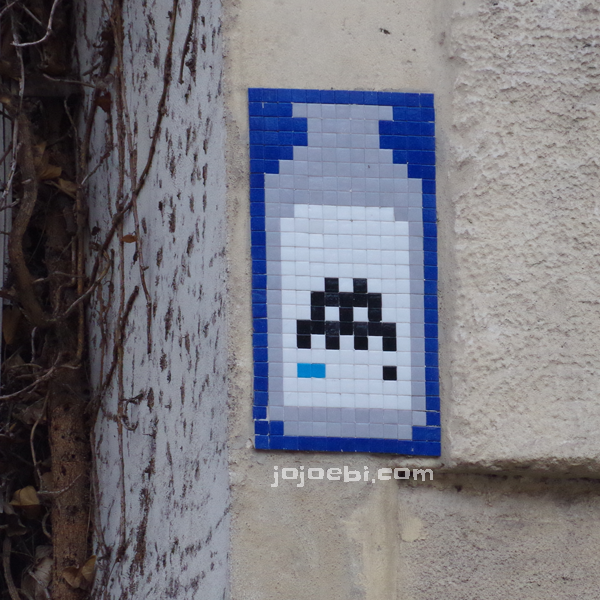 I have tried to find out more about the artist behind, the artist goes by the name Invader and was born in 1969 and he has his art displayed in many cities around the world, although I don't remember seeing any anywhere else, maybe I just wasn't looking! Here are a few of the ones we saw, sometimes we were on the bus or train so the photos are blurred pictures of someones head! 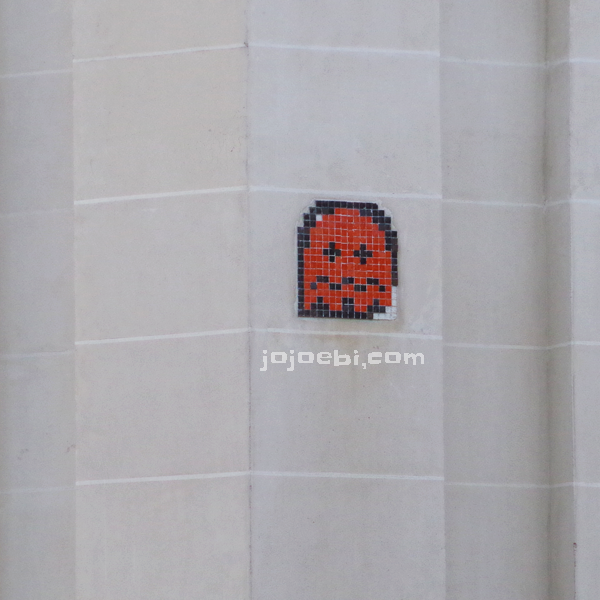 You can find Invader's art in Tokyo as well, so keep an I out for it! Really! Will have to keep a beady eye out!